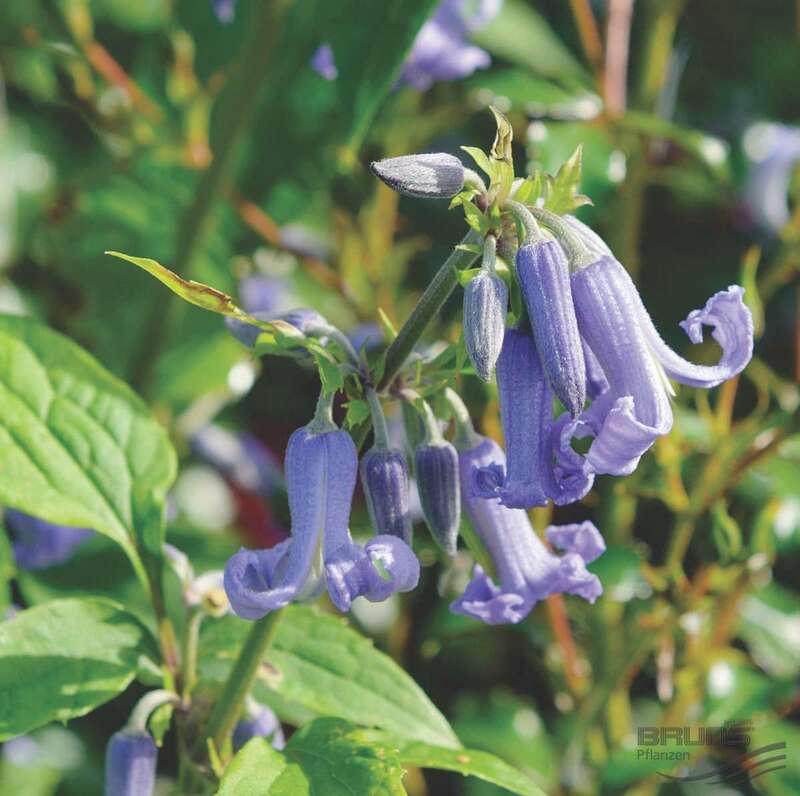 This unusual clematis is classed as an herbaceous sub-shrub as its growth is so very different from the rest of the genus Clematis. It has erect woody stems and produces clusters of hyacinth shaped flowers. 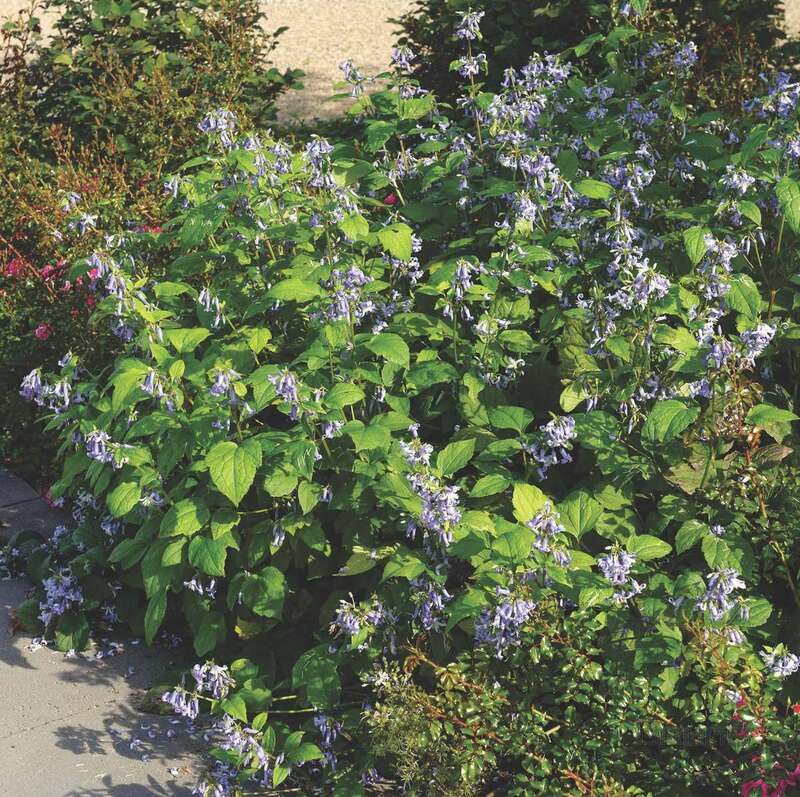 It makes excellent plants for the border, they are easy to grow and bloom over a long period. This group of plants flower and perform better in sunny free draining conditions. They are said to be attractive to butterflies and bees; variety 'Cote d'Azur' has a bright blue flower with a hint of lavender. Leave pruning until mid-spring(April) when the weather has improved. Do NOT prune these hard in autumn or winter when tidying other herbaceous plants as the Heracleifolia Group over-winter better with the old growth left intact.